The international youth basketball international U20 European Championship Women Division A will be hosted by Serbia for the first time. Russia are the the current champions and have always won this title in even numbered years. With five titles they are the most successful nation in this age group. In 2010 France missed out on a medal for the first time since 2000. They are drawn in Group C alongside Belarus, Italy and the Netherlands. Grégory Halin has taken over the head coach duties from this age group from Alain Jardel. The Division A championship will be held in Serbia while the Division B tournament will take place once again in Macedonia. 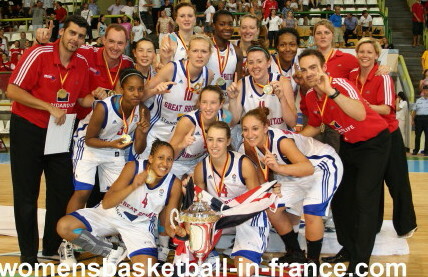 Both international basketball tournaments are scheduled to take place between 7 July to 17 July 2011.